MLS# 14020740 - Built by Ashton Woods Homes - April completion! 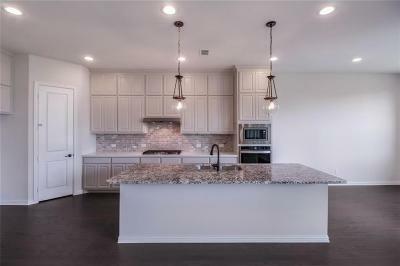 ~ Beautiful new home only 21 miles to Legacy West in amenity rich master planned community off Hwy 75. Regal 1-story home with brick and stone exterior and a grand rotunda entrance. Covered front porch opens to a hardwood flooring rotunda foyer and continues through to the formal dining, family, kitchen and breakfast area. Family room tray ceiling and fireplace complete the room beautifully. Gourmet kitchen includes a spacious island, upgraded countertops and backsplash, double-stacked cabinetry and brushed nickel fixtures. 3-car tandem garage.